Working Equitation represents traditional European work-riding styles, which also are the origin of Western riding in America. The tradition of herdsmen or vaqueros – having a supple, reliable horse which is used to facing new challenges (trail course) and staying relaxed with cattle – is combined in this modern horsemanship test. 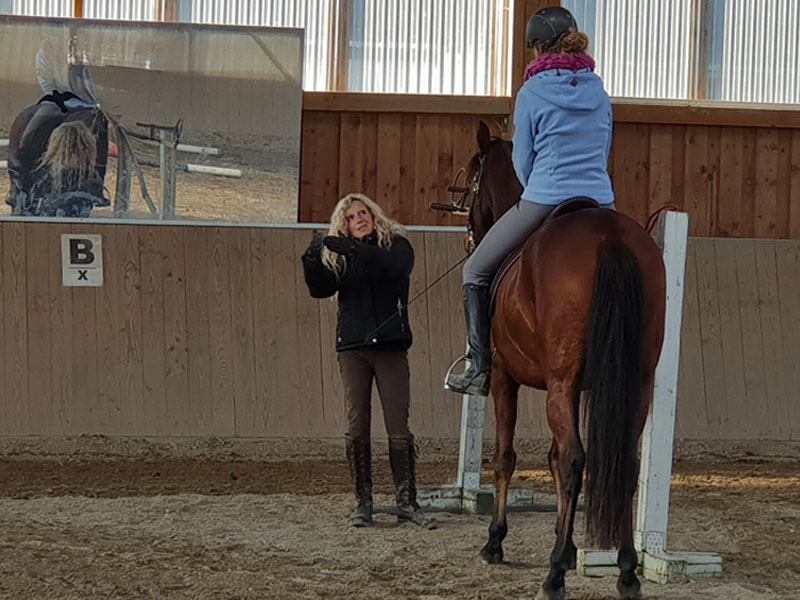 The training varies a lot, making it interesting and encourages a good connection between horse and rider. It is exciting to watch the interaction of three species during the cattle work. Gradually rider/horse/cow learn to interpret their respective body language. As I have my own two Zebu bulls and kept quite a large herd of Zebus at home I can not only „read“ cattle but also train them. I have been training riders and horses of all levels in Working Equitation now for years and participate in competitions myself. My own tutor is currently Pedro Torres – one of the most respected Working Equitation riders of our time. Can gaited horses do that too? Of course! But instead of canter being the main gait, the course will be ridden in tölt. 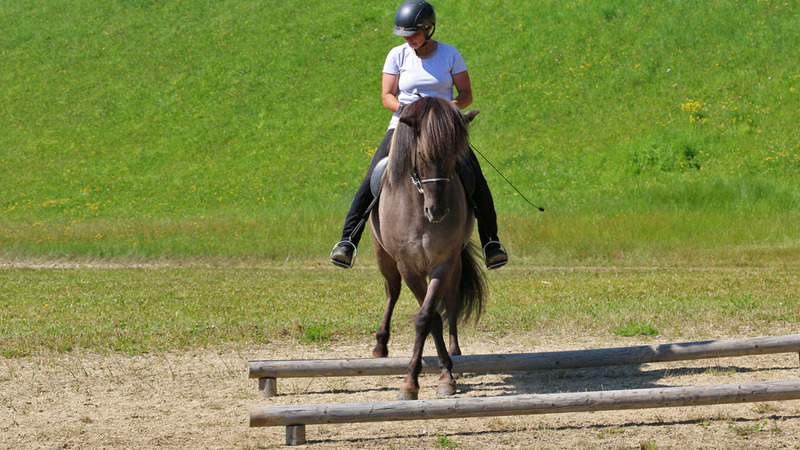 The training has to be adjusted to the type of horse and its gaits. The Working Equitation Deutschland e.V. (WED) is the German association acknowledged by the WAWE. 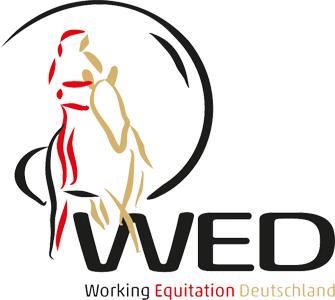 The WED sets the regulations for Working Equitation competitions, qualifies judges and instructors and assists the organizers with the realisation of competitions. There are several classes to compete in: E = Beginner (intro), A = Novice, M = Advanced , S = Master. You should always choose a class that does not not ask too much of you and your horse. For further information also on regulations, here is a link to the WED. The challenge of all classes is to present the rideability: Clear rhythmic gaits, dynamic and correctness of transitions, seat and aids of rider, precise performance of the track figures. The dressage tests are being ridden with both hands, except in the Master Class (S-class) which is ridden one-handed. The diversity of horse breeds within Working Equitation requires quite an individual structure of dressage training. An important key are the transitions from gait to gait and within. The completion of the various obstacles is a slow road to success reached only in small steps. Here failing rideabilty or loss of balance show up at once. Only with sufficient practice an obstacle can be accomplished elegantly and with obvious ease. The speed test is accomplishing the maneability course as fast as possible, but without mistakes at the obstacles. Here it is important to have the right strategy and an absolutely supple horse, which never goes against the riders hand – even at high speed. Here transitions and tight turns are the key to success. On one side a herd of cattle – on the opposite side a pen. The task consists of separating one defined cow from the herd and drive it into the pen. The rest of the herd has to stay in its marked out area. The key to success is (again) the horse: Obedience, courage, a confident manner with absolute sensitive reactions to the riders aids. The rider has to be able to „read“ the cattle well giving the horse only very subtle aids. The right strategy drives the cow without any pressure into the right direction. During cattle work the interaction between the 3 different species horse, cow and human is important. I am able to understand and „read“ cattle and can direct them without any pressure wherever I like. For fun I even school my two zebu bulls in Working Equitation tasks. Some of today’s successful Working Equitation riders had tuition in cattle work with me.